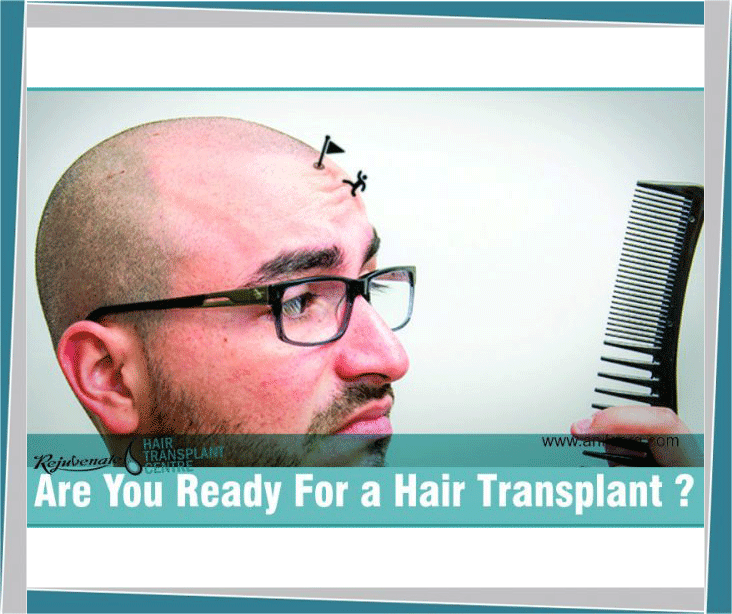 Are You Ready For a Hair Transplant? Hair transplant is the best option for getting back your natural hair. A good result by Hair transplant doctor makes the front profile of the person better and it helps in increasing the confidence. But there are few important things which a person should know before going for hair transplant. – Surgeon and his academic qualification, His medical degrees are recognized by state medical council or not. At Rejuvenate Hair Transplant Center Doctors are well qualified, Plastic Surgeon and also diplomate of the American board of hair restoration surgery. They are the member of ISHRS, AHRS, and AAHRS. – He usually does and his experience of that technique. In FUE hair transplant if a surgeon is a beginner, there may be more chances of damage to hair roots. For FUT hair transplant, Team of the surgeon who will do follicle dissection should be trained to minimize the follicle transection. They should use a microscope. Use of magnification loupe is recommended while implanting follicles. At Rejuvenate Hair Transplant Center both FUT and FUE hair transplant is done with an equivalent good result. – Does this unit have air conditioners to maintain low room temperature? Does this unit have power back up in case of electricity failure? Cool temperatures are mandatory for hair follicles otherwise damage to precious follicles takes place. Is this unit equipped to manage any unwanted emergency situations? Rejuvenate Hair Transplant Center is well equipped for all the facility. Transplanted hairs are permanent if they are taken from the safe zone of Donor area. But for the temporary hair you need medical treatment, otherwise, they may fall. You may get a reasonably good density by Hair transplant but it is impossible to get the original density of childhood. You should tell about your diseases and medicines to the hair transplant surgeon. It will take 3-4 months for transplanted hair to start growing. For the full result, 8-10 months are required. You may need more than one sitting of hair transplant –if you want to increase density or want to cover more area. Smoking may alter your result of hair transplant.